A present contains a monstrous secret. An uninvited guest haunts a Christmas party. A shadow slips across the floor by firelight. A festive entertainment ends in darkness and screams. Who knows what haunts the night at the dark point of the year? This collection of seasonal chillers looks beneath Christmas cheer to a world of ghosts and horrors, mixing terrifying modern fiction with classic stories by masters of the macabre. 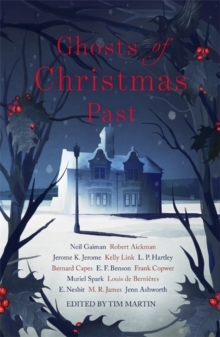 From Neil Gaiman and M. R. James to Muriel Spark and E. Nesbit, there are stories here to make the hardiest soul quail - so find a comfy chair, lock the door, ignore the cold breath on your neck and get ready to welcome in the real spirits of Christmas.